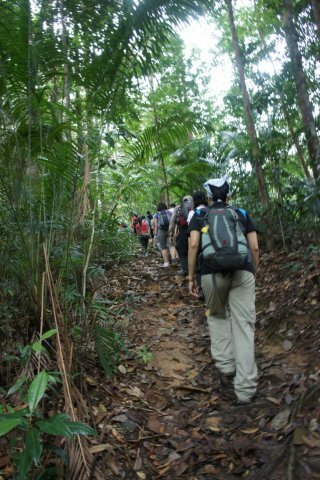 Singapore might not have a lot of hiking options but there are actually a few mountains in the nearby state of Johor, Malaysia. 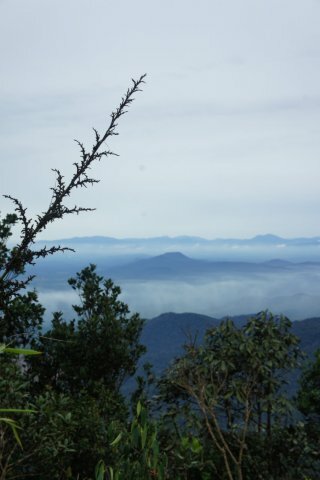 A few of these gunungs (malay for mountains) are Gunung Ledang (aka Mt Ophir), Gunung Belumut, Gunung Lambak, Gunung Panti and Gunung Pulai. 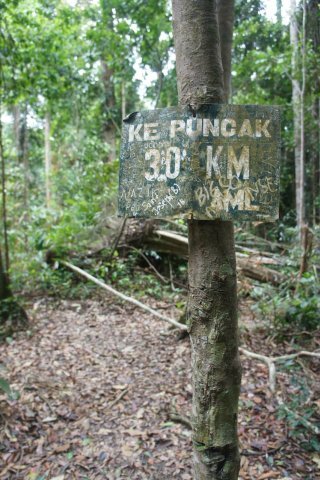 For this trip, we are heading to Kluang town to hike the 1,010m high Gunung Belumut. 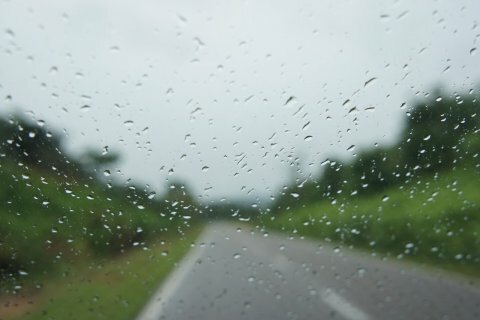 We also decided to stay overnight in Kluang to explore the area a little. We chartered a one-way coach who picked us up at 6am in Singapore. 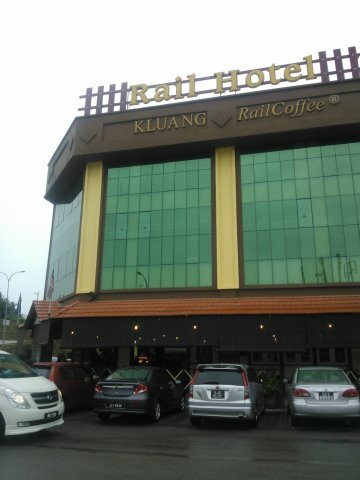 The first stop was Rail Hotel in Kluang where we confirmed our reservation and dropped off our extra stuffs unnecessary for the hike. 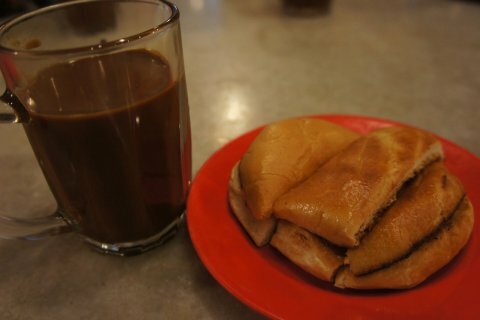 It’s drizzling and nobody was in a hurry so we tried the famous coffee and bun. 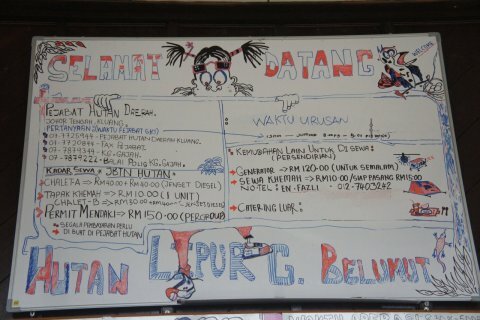 There were not a lot of information online on how to get the permit for hiking Gunung Belumut but one of them pointed to the police station. So we went there but realised they do not issue permits. We decided to head straight to Belumut base and see what happens. The road to Belumut is actually marked with clear signs. 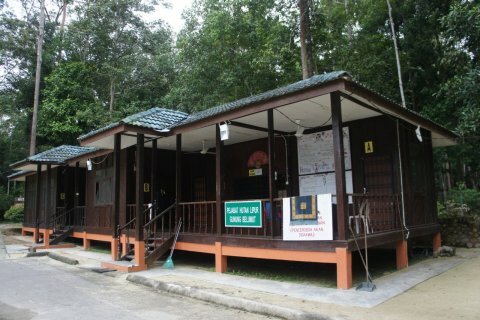 This is the office located at the entrance to Gunung Belumut. Anybody can translate the following? I think it contains information for the permit. 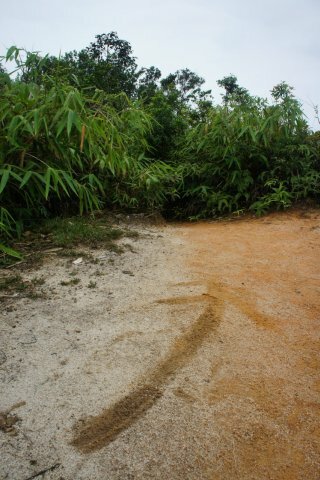 Anyhow, we were lucky as there was an official guide who was taking another Singapore group up the mountain. By right, we would need to apply for a permit at the forestry department. We discussed and was allowed to tag along. 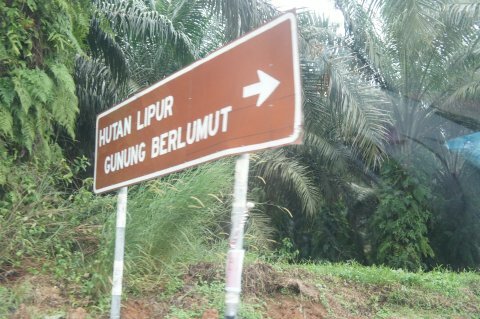 The entrance of Gunung Belumut. We officially started the hike at 11am. There were leeches and it’s recommended to wear socks and long pants. Gloves would come in handy as some parts require you to pull yourselves up the steep slopes. Here’s the false summit. Head west for the true summit. It will take just another 10 minutes. View from the real summit. We took about 3.5 hours for the hike up to reach at 230pm. There is huge boulder named the Crown Rock on the summit. Back to the false summit. It’s a nice area for rest and replenishment. Somehow I wasn’t paying a lot of attention to the surroundings on the hike up. I guess we were just determined to the reach the top before the cut-off time. The guide told us we would have to turn back at around 2pm plus if we still had not reach the summit. 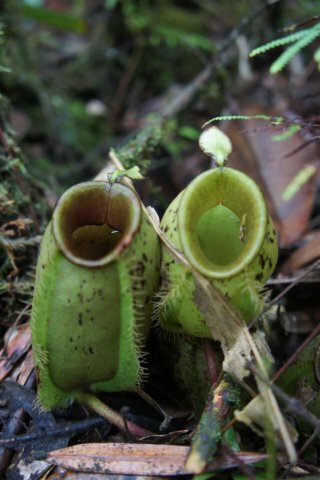 So now I managed to take a few photos of some of the flora. We finally reached the base at around 6pm. 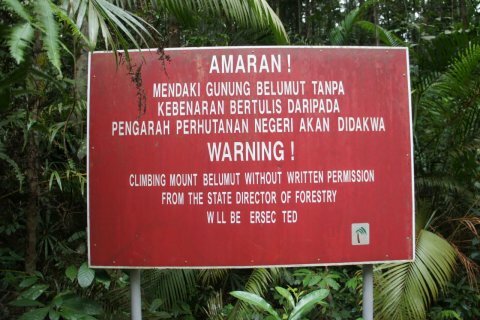 Ah, a warning not to climb Gunung Belumut without a permit. My friends had arranged for another vehicle which soon arrived and drove us back to Rail Hotel. We had a nice hot bath before going out for dinner. Dinner was at a Chinese restaurant recommended by the driver. 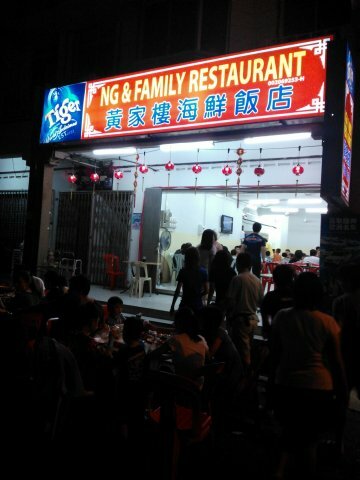 For supper, we had durians and watermelons at a road-side stall opposite Rail Hotel. Hey there! Intending to climb belumut soon,can I get details for the permit as well as how you got to the start point? Im going on a 4 day trip this wkend with a friend to mt belumut n mt lambak. Appreciate some last min guidance from you pertaining to permits and hiring guides for both mountains. And is it possible to trek alone if my friend backs out? Looking forward to your reply! We planning for a 2 days trip with a group of classmate (x15) to Mt. Berlumut. Appreciate some guidance from you pertaining to the permits and hiring guides. Any contact personal can help on the above? Replied to all via email. Planning 2d1n trip. 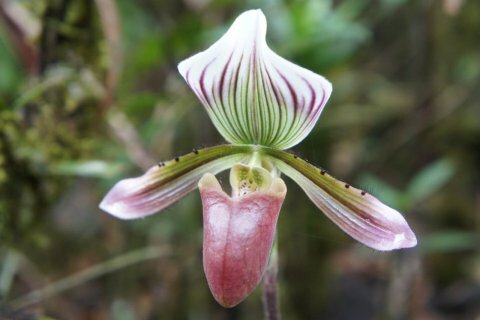 Would appreciate any guidance on permits and guidea for the climb of belumut. I am planning to hike Mt Belumut on 9th May 2015. Can you provide info or contact no to apply the require permit. And also the Rail Hotel contact. Hi can you share the guide contact number? planning to climb next week. Thanks alot! Thanks for sharing! Possible to get the gps link as well as obtaining the permits for the hike from you? hi might it be possible to get your guide contacts please? thanks! Hey, thank a lot for the post. Could you also send me the information regarding the permit. Thank you! Hi, possible to have the guide details? Thank you! Interest to go. Able to provide guide details or contact? Interest to hike. Could u send all of the related information to me? Hi! could i have the contact and other relevant information about the guide and how to go about getting the permit? thank you! 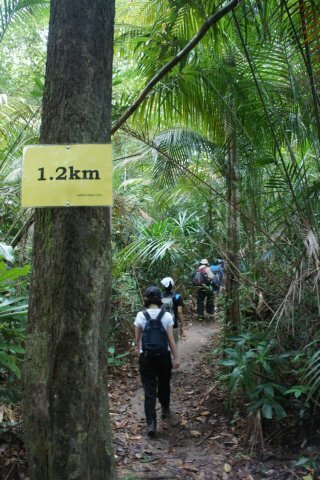 if you need help with permit, guide and transport arrangement, please contact http://iwannatravel.com.sg. Thanks. Great review. I am looking to hike Belumut as well, could you send me the GPS file and provide further details on obtaining a permit? Could you also recommend a guide? Hi, possible to pass me the guide details and number as well mate? Thank you! Hi , can I have the details of the route from Singapore to Belumut ? 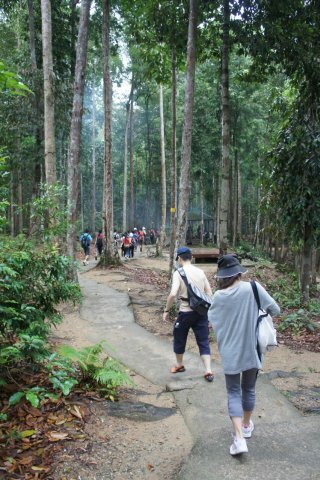 Both my husband n i enjoy long walk but never been to hiking . 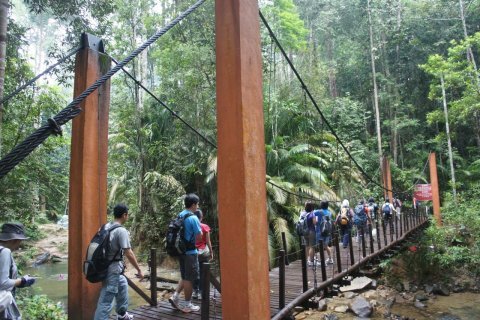 Is it possible to hike at Gunnung Belumut without mountain guide ? Lastly , is there any public car park for visitors near the foot of the mountain? Hi there. Thanks for the info! was really helpful. Can I please have the guide’s contact? Yes, you need permit and guide for Belumut. Anyway, Belumut is closed for maintenance until mid this year. Hi kindly advice on how to apply permit and guide contact. Garmin GPS data if possible. Hi! Can you tell me if a guide is a legal requirement to go up Belumut? Hi, is it possible to provide guide contact and information on how to apply for permit? Thanks in advance! You need a permit and guide. I heard that there was a recent case of a trekker being lost in the mountain. For your own safety, please engage a guide and have a permit from the forestry department. 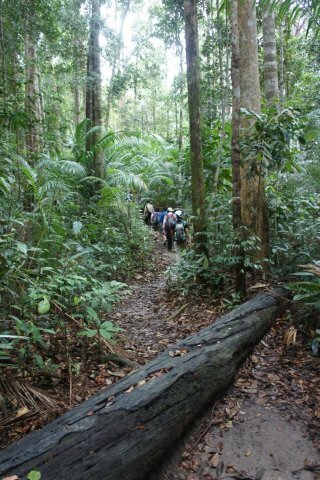 You can approach one of the trekking agencies such as http://iwannatravel.com.sg to help you arrange. 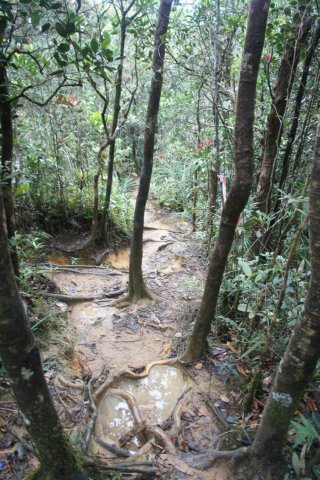 Sorry to trouble you to email me where and how to apply permit/guide for gunung belumut. i’m planning to climb this gunung in Jan. but can’t seem to find a guide online to hire or how to go about applying for the climbing permit. i found an agency that would arrange all that, but it costs too much. Planning 2d1n trip.Can you please share the guide’s contact, we are a team of 12 pax from Singapore to climb Gunung Belumut. Hi there! 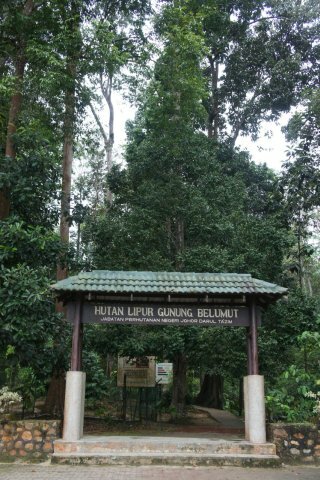 I’m interested to climb Gunung Belumut. 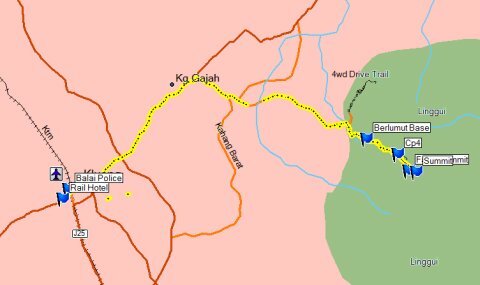 Is it possible to get the download link for the GPS trail as well as the contact number for the permit? Thank you! Hi, I plan to go Gunung Belumut myself as well. Need more detail about to getting there and enter the trail site. 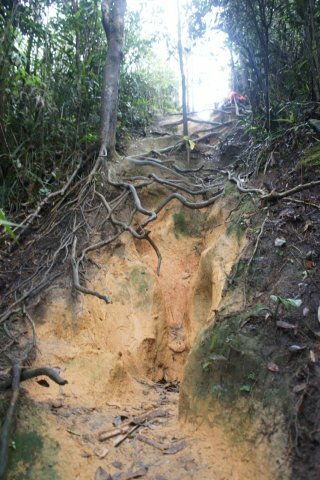 I will greatly appreciate if anyone here can provide details on how we can apply for the permit to climb gunung belumut? Do we need a guide to climb it? Thanks so much!!! Hi there! Possible to please have the contact detail for the guide? Thank you! Would appreciate if you could advise me on the guide contact and how to obtain the permit.